SUNRISE, Fla. — From Tennessee to California, from Maine to Texas, senior high school students are participating in tradition that has been honored by parents, administrators, politicians and the community throughout generations. Yet, for the first time in history, more seniors are not walking across the stage to accept a diploma. 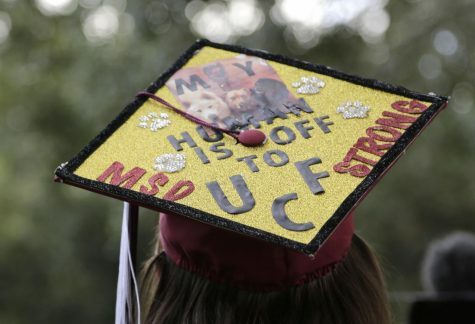 This year, the class of 2018 has lost more students to school gun violence and neighborhood gun violence than previous years and for too many parents, listening to Pomp and Circumstance has new and grave meanings. 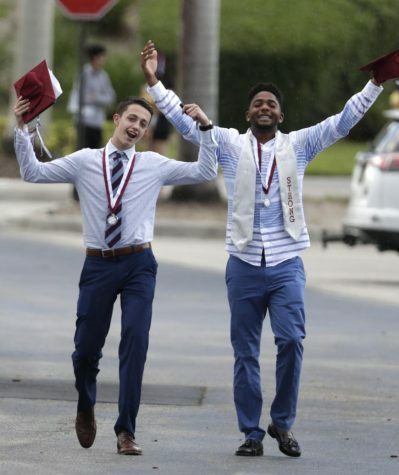 Four families received diplomas on behalf of loved ones slain in the attack that gave rise to a campaign by teens for gun control.Principal Ty Thompson underscored the honors for the dead students in a tweet.”Remember those not with us, and celebrate all the successes the Class of 2018 has brought to the community and the world!” Thompson tweeted. 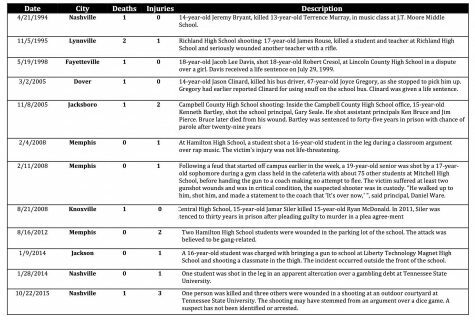 While there hasn’t been a mass school shooting in Tennessee since 2014, there is definitely a reason to be concerned about the growing number of shooting events happening on school campuses around the country. The SAVE Act Compliance Instrument developed by the state of Tennessee provides a framework for emergency planning aimed at bringing together all available resources and stakeholders to provide for the safety of all of Tennessee’s students. The Guide for Developing High-Quality School Emergency Operation Plans developed by FEMA, local emergency operational management organizations and the Department of Education is designed to provide LEAs guidelines to keep their children safe from threats (human-caused emergencies such as crime and violence) and hazards (natural disasters, disease outbreaks, and accidents). In collaboration with their local government and community partners, schools can take steps to plan for these potential emergencies through the creation of a school Emergency Operations Plan (school EOP). “A Closer Look,” which considers key topics that support school emergency planning, including addressing an active shooter, school climate, psychological first aid, and information-sharing. Through prevention, protection, mitigation, response, and recovery the new SAVE Act is designed to offer schools more ways to protect students.